When I explained the lighting plan I gave a sneak peak of the drywall installation we've completed. 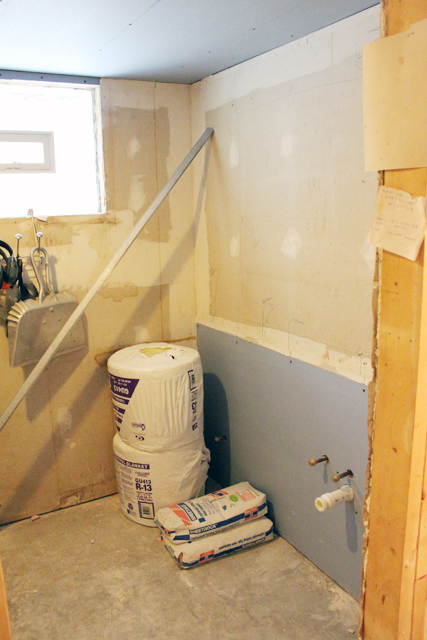 Now I'm back to show you all of the drywall, and even a little surprise in the bathroom, (sorry, that sounded bad). I'll start by showing the ceiling again in the main family room. Mike and I worked as an awesome team, (not always the case when it comes to construction projects), to put all the ceiling drywall up. Since ceiling board is a thicker 5/8", it's definitely a two person job. We worked together to measure and cut the board, Mike manhandled it into place, then I used a deadman brace, (just a short piece of 2x4 drilled to a long piece to form a T), to hold it up for him. We pre-measured the lights and vent, so we just marked out the centers after screwing the sheet of drywall and used a rotozip (a spiral saw) to plunge into the drywall at the center hole, then cut to the edge of the box, then you take it out of the drywall and plunge in on the other side of the box, cutting all the way around the shape, using the box as a guide. Here's a video I found on the rotozip site that shows the process we used. It's by far the most efficient way to cut holes in drywall. And, the structural beam between the family room and beer cave/bathroom hall. 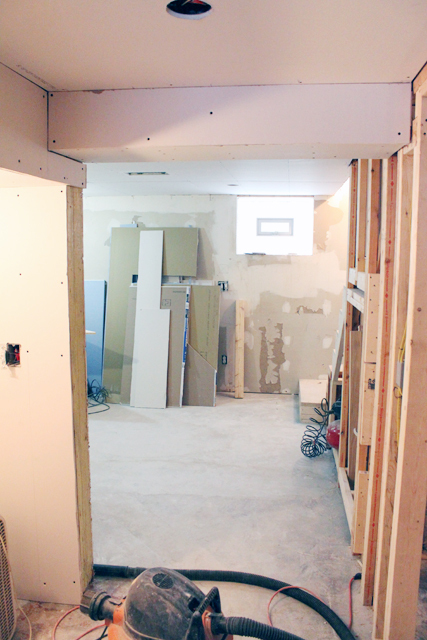 The area under the stairs is still getting worked on, and will need the storage built before drywall is installed. 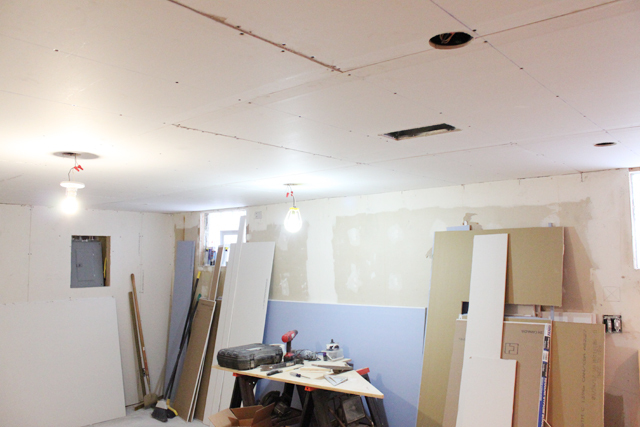 Mike used moisture resistant board to fill in the areas of drywall on the ceiling and walls in the bathroom. 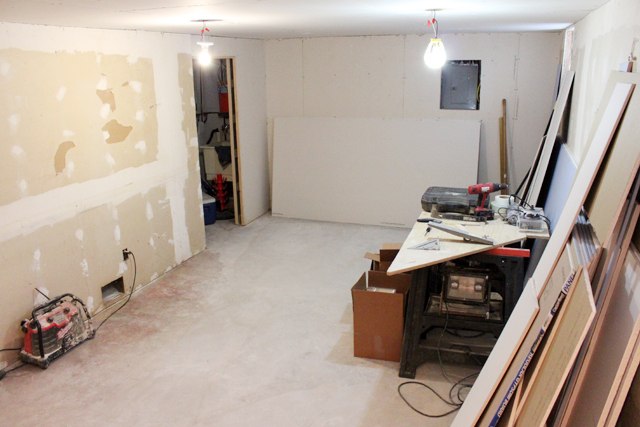 We chose to keep any existing drywall that made it though the demo since it was still in good shape. 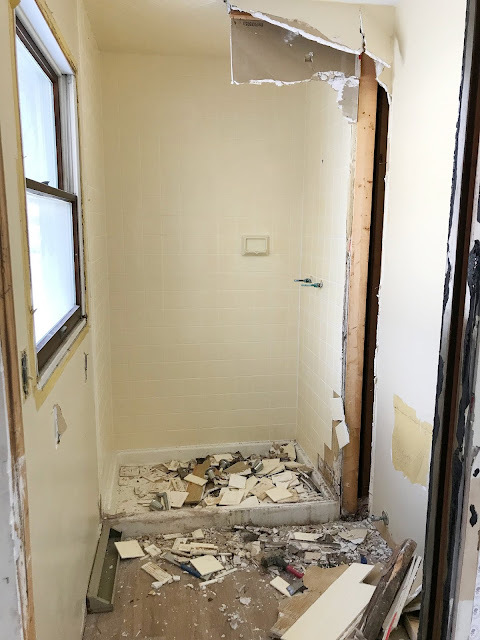 Even though it isn't moisture resistant, we're not worried since there wasn't any damage done and the bathroom had horrible ventilation, (the lack of damage was probably due to the fact it's a secondary bathroom that didn't see a lot of showers, except when we were renovating the upstairs bath). We've installed a vented glass block window and a new fan, so we're confident that we won't have a moisture problem. 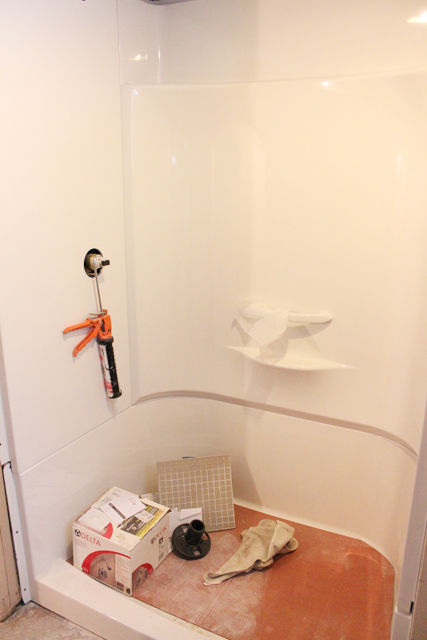 The big surprise in the bathroom is that the shower is installed! 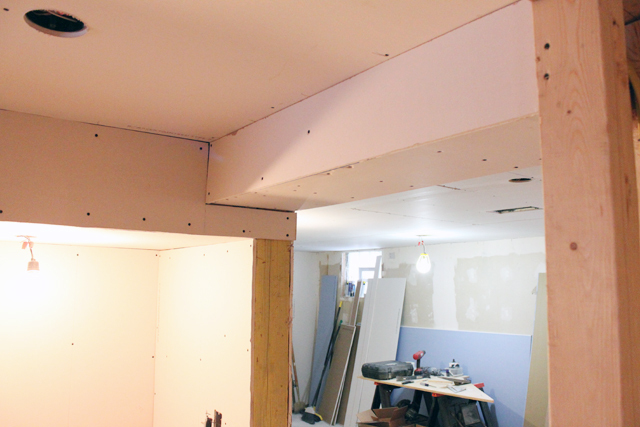 Mike had to have it installed to build the half wall on the one side before the ceiling drywall was installed. Even though its only about 18" bigger than the old one, it feels like it takes up the whole room right now. I know that it sounds weird, but it always feels bigger once we start installing the things like a toilet and vanity. Right now it seems like it will be crowded, but once those items get installed it will feel better. 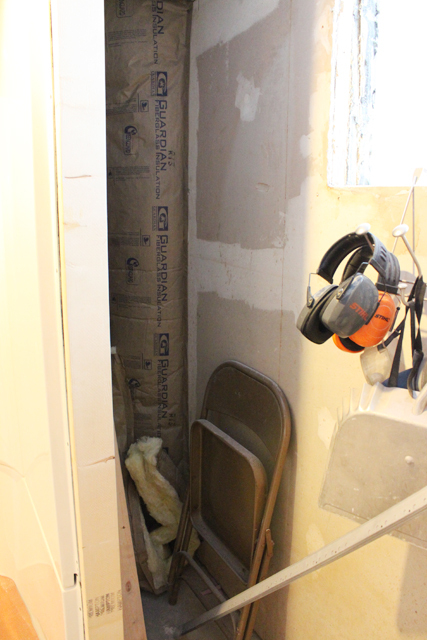 With the shower and half wall installed, I was finally able to see the small area where a built-in will go, (we're planing something similar to the upstairs bath built-in storage, but much to my dismay we're going to make it closed storage so that we can hid non-bathroom items in there since we don't need all the extra storage). 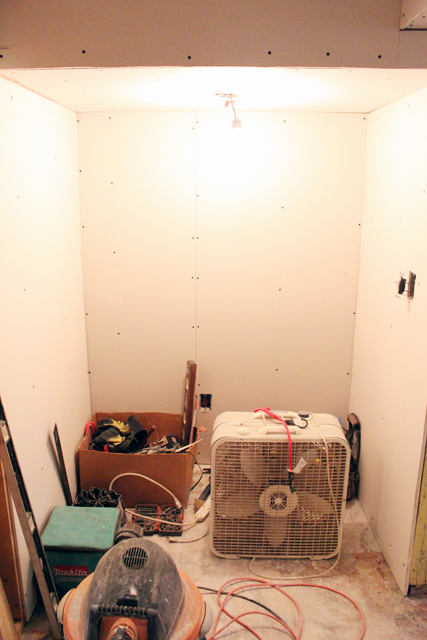 Now that it's all installed, the drywall mudding can begin. Mike's been doing a little here and there, and once the ceiling texture is finished I can paint and install the lights. It’s a good thing you decided on the vented window and fans. 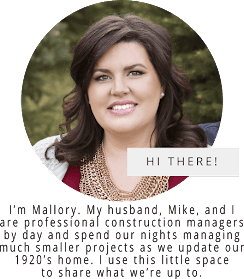 While it is moist-resistant, water buildup is sometimes inevitable. Also, those two will help eliminate the closed-up smell that is notorious on unventilated bathrooms.